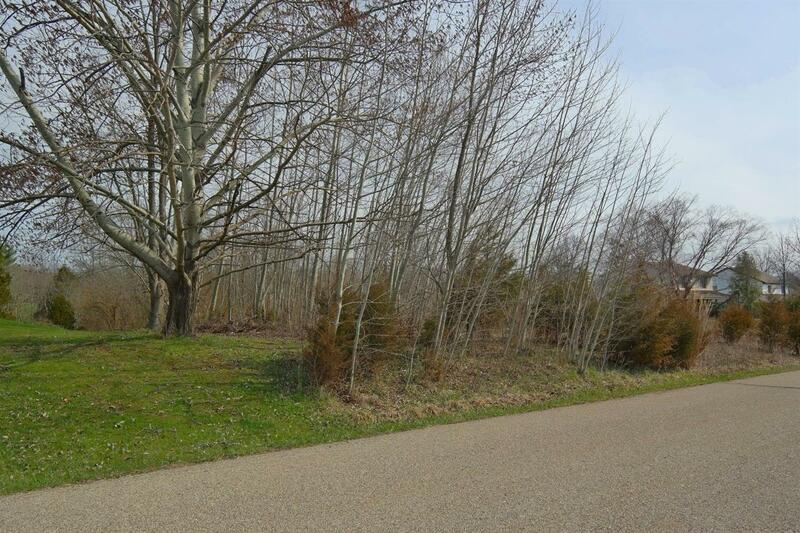 Beautiful wooded 3/4 acre lot with 125' of road frontage. Flat lot, gently sloping in back, perfect for a walk-out basement. Public water and sewer available. Easy access to I-74 and schools. Area of nice homes. Use your own builder or ours! Plans available.